WHAT'S UP THE PIKE: Planning Board hopefuls include former District 4 candidates, Robin Ficker; Route 29 named one of County's most congested corridors. 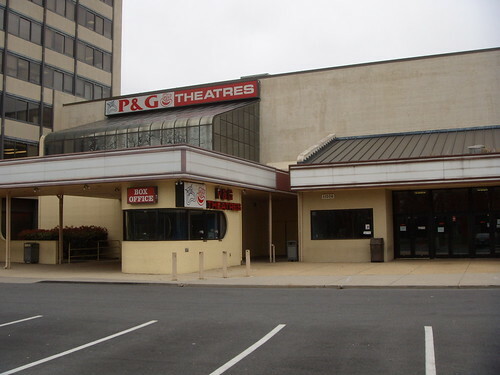 In August, the former P & G theatre at Wheaton Plaza will become the Montgomery Cinema 'N' Drafthouse, which will offer everything from first-run movies to live comedy. In March, I wrote about the new Montgomery Cinema 'N' Drafthouse, opening in the former P & G Wheaton Plaza 11. The new venue will offer "first-run films, independent films, sporting events, live comedy,film festivals, speaker series, family friendly events, wine tastings, live music, [and] major televised events," according to their website. I caught a little flack from commenters who thought my concerns about not naming the Drafthouse after Wheaton was kind of silly. One of those putting their two cents in was no less than Greg Godbout, owner of the Montgomery Cinema 'N' Drafthouse, set to open later this summer, and the current Arlington Cinema 'N' Drafthouse in Virginia. Godbout had this to say AFTER THE JUMP . . .
"Try to be a little more positive... This is good news for all of Montgomery County especally Wheaton and the Drafthouse. 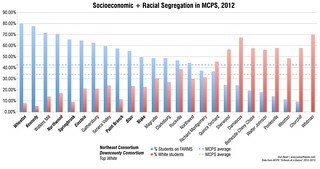 (2) The Wheaton comunity is a great community for us to operate in. 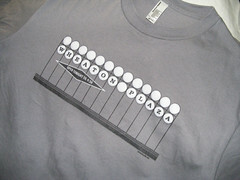 As some have commented on this blog and our booth at the Taste of Wheaton - Wheaton needs a diverse entertainment venue. In our case we offer all sorts of entertainment. (3) For those comparing us to a "regular" movie theater, I suspect you have never been to a "Drafthouse" or "Restaurant" style theater as the experience is totally different and are actually considered different industries. (4) As for the quality of our entertainment experience, we were voted the Best Movie theater in the DC area as part of the Washington Post's Best Bet. The Washingtonian selected us as the best thing to do on a Friday night as we offer Wine Night at the Movies every Friday, which has optional wine tastings with experts from the Washington Wine Academy. Our small Arlington location with only one theater offering sub-run films (films that have been out for 2 to 3 months) gets 100,000 visitors a year! In Wheaton we will be offering both first-run films and sub-run discount films in a theater venue with 6 theaters. We easily expect to draw 300,000 people per year in our high quality/high end new flagship location in Wheaton. (5) Live Entertainment: Our live comedy offerings feature the best of the national comedians on a regular basis. Our family friendly live events feature the best local family entertainers weekly. Our film festivals and cult film showcases regularly sell out. We offer live music on a limited basis, however we expect to offer more of it at the Montgomery Cinema 'N' Drafthouse. We are very excited about being located in Wheaton and have for two years been seeking out a central Montgomery County location that could appeal to our existing fan base in MD and DC. Our customers have long asked for a location in MD and we are thrilled to open our Montgomery Cinema 'N' Drafthouse in Wheaton." Wheaton + movie theater + beer + night = crime & violence. No thanks! Thanks, but I'll stick with the AFI. Good films, good crowds, good beer, and no gangbangers. Personally I think that the real problems that might come with the place will be a lot of theft-from-vehicle complaints. It may well be that a lot of the clientele will be coming from a fair distance, and won't know that you can't leave anything in your car, or it and a window will likely be missing when you come back out from wherever you were. I'm not much for dining out -- I think the last time I ate in public was when Dan interviewed me in a Dunkin' Donuts in Wheaton -- but I will probably give the Montgomery Cinema and Drafthouse a try. I haven't seen something like this in the 15 years I lived in MD. Drafthouse could be great. The one in Bethesda was great fun. Wheaton offers walking to Wheaton Metro. Hopefully, Drafthouse will be an influence on Westfield Shopping to make access to Metro much, much more attractive. Also, right over the Metro bus stops and the Metro entrance, there will be a huge high rise office complex and condos. By building above the buses, the developers will provide protection from the weather for those waiting for a bus. Again maybe Drafthouse can persuade the developers (and the county) to expand the bus terminal for more RideOn buses. Imagine that, a Drafthouse and a developer being part of the solution rather than part of the problem.